Is the player sprite final? It really doesn't match the look of the rest of the game. EDIT: Never mind, I see the splash image on the site there is a mock-up. I look forward to seeing what you've done with the development of the game. I picked up a cart at the Portland Retro Gaming Expo this weekend. Excellent work tepples! It felt really polished. They already sold the cartridge? Because I'm really curious. 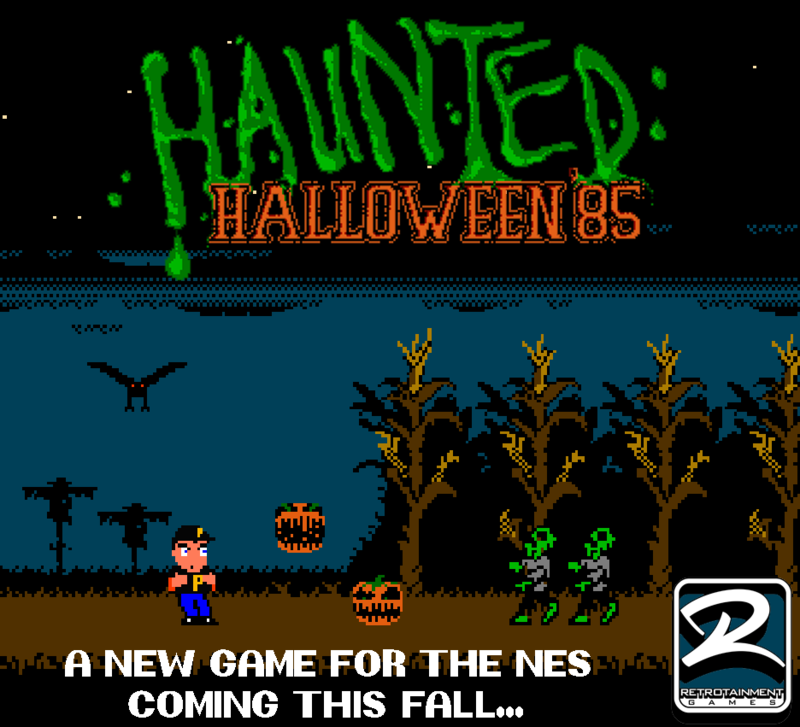 That's the first modern NES game that really caught my attention and that I consider buying. But first of all I need to know a bit more about it. So, would you mind telling us a bit about the game or maybe uploading a video of the gameplay of the first level? I'll try and record some gameplay tonight after work. Just a note to everyone. WE DID IT! We went from 0 to Final with the full game production cycle and managed to complete the game thanks to some very awesome members that were grabbed from this very forum! I hope Bregalad now hires someone from here haha ! Will edit with more info about game shortly! 1. When and where can we buy it? 2. Is there any gameplay video? I'd like to get a first impression. So, if you or anybody could upload someone playing the first level or so, that would be fine. 3. Is the game's story or maybe the whole manual available online? 1. It will be available on www.cashinculture.com as soon as we get enough copies made to post it. We will keep you posted on the quantity. The more requests we have for a copy the more we'll order on carts! 2. We're working on a trailer. We had several people want to interview us at PRGE and one guy who is making a video about the game. He too is asking for game play footage so we'll get on that ASAP. 3. Manual coming in a couple weeks. We appreciate everyone who came out to play the game, it was a true experience and since this is our first NES production that has made it to this level we absolutely appreciate everybody who bothered to even come see us, you all made it entirely worthwhile ! If the manual will only come in a few weeks, I'd like to know about the story of the game, if it has any. Alternately, if the story is told in the intro of the game, I'll wait for the gameplay video. Until the videos are up, here's the opening scroll text. There are pictures and brief animations, but I left out the pictures because phpBB doesn't let me post them all in one post. I woke in a total panic! I had big plans for us! was a million miles away! keep me from that dance. Is this story something that's supposed to be unknown until later in the game? Because otherwise, the intro text is really just a teaser and not actually the plot. Good for the game itself when playing it, but not so good when trying to get general information. "You are a boy from highschool and due to a magic spell/a curse/whatever, your town is run over by zombies." Or: "You realize that this town isn't like other towns since monsters and demons are on the loose here." Or: "Every hundred years, the town is plagued by ghosts." As you can see, I'm interested in the "nature" of the whole haunting. This, and seeing the gameplay. Sooo, any gameplay footage out yet? I'd still like to know the direction taken with the graphics. The original sprite can't be simply displayed on the NES as-is, and I'm wondering (hoping) a new design has been created. I store both 'p' and 'q' variations of the overlay sprites so that the 'p' remains a 'p' when flipped. I need to ask once again: When will we see some actual gameplay footage? The game is the only recent NES game that really caught my attention. But before I buy it, I need to see something from the game. I need to see what the gameplay looks like. You don't need to do a trailer. Just get someone to sit in front of a TV and play the first level. Or play it on an emulator and enable the video recording. Whatever. I would be willing to order it. As soon as I see at least a few seconds of gameplay to make sure that this doesn't play and feel like something that I don't like. And I assume putting up at least something would be beneficial for everybody who is interested in the game.